We believe that your time at university is the start of your career. At Falmouth, you’ll develop specialist skills and commercial knowledge, you’ll learn from practising professionals, work in industry-standard facilities and benefit from a network of incredible contacts. Our alumni go on to achieve amazing things; forging their careers, their businesses and leading their fields. The Creative Industries are the fastest growing sector of the UK economy, already generating more than three million jobs. Every year the demand for more talent increases. The ability to think, to collaborate and to innovate will be key to building a career in the future economy both in the UK and internationally, where the UK’s creative innovation is highly regarded. The workplace of the future will look very different. The ability to be a ‘creative bridge’ between traditional work and the new economy, allowing people skilled in manufacturing, digital technology, health, science or engineering to bring their ideas to life, will be highly valued. Falmouth University is committed to delivering world-class education and impactful research with industry-focused courses, amazing facilities and academic staff who achieved Gold in the Teaching Excellence Framework. Our vision is to build a University that recognises creativity as the most valuable skill and talent for the future. 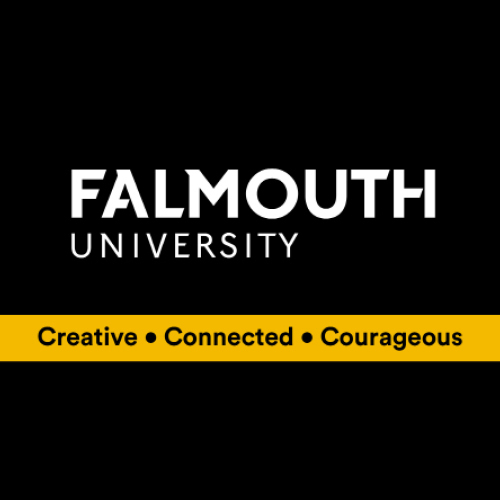 Every one of Falmouth’s courses is in the creative economy. This means we are focused on the world in 2030, where creativity has become the single most valued commodity. What follows is a guide to the future – your future – with stories from just a few of our current and former students, an introduction to our courses and a snapshot of life in Falmouth.